What: This unique road trip will show you authentic SoCal culture. When: Spring, Fall & Winter seasons are best (summer temps can be unbearable). Where: From San Diego, head to Palm Springs (140 miles). Next climb into the high desert of Joshua Tree National park (37 miles) before heading down to the Salton Sea (122 miles). Finally, swing through the Anza Borrego desert (80 miles) and back to San Diego (85 miles). The California gold rush may be over, but people still flock to the West coast for the warm weather, palm trees and adventure. And what better part of California to explore over the length of a week than SoCal? Take it from us, we spend so much of our time here, we tell most people it’s our home (even though we technically live in a campervan and home is anywhere, lol). 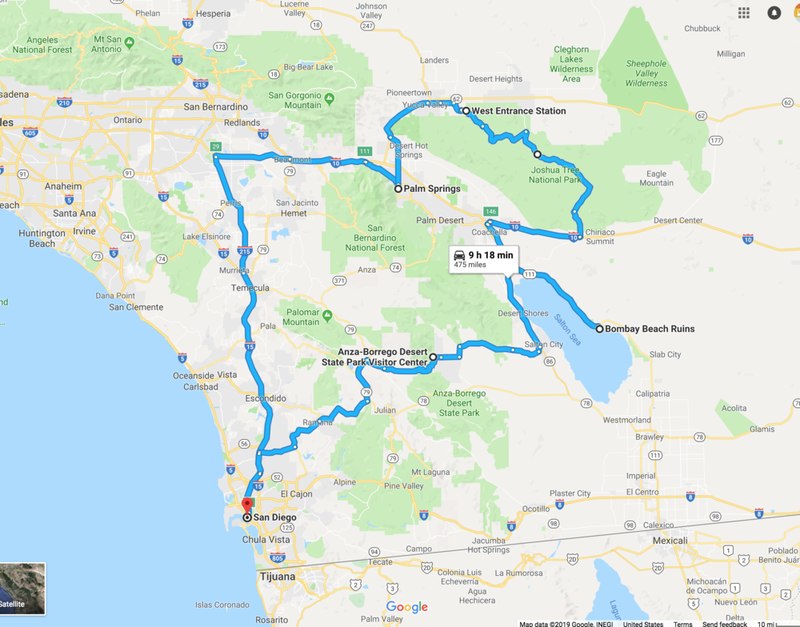 If you’re up for an exciting adventure, including a diverse mix of activities from the coast to the mountains to the desert and back, then this SoCal road trip loop is perfect for you! Whether you have your own campervan or you’re renting one from our fleet, you’ll begin your adventure in sunny San Diego. 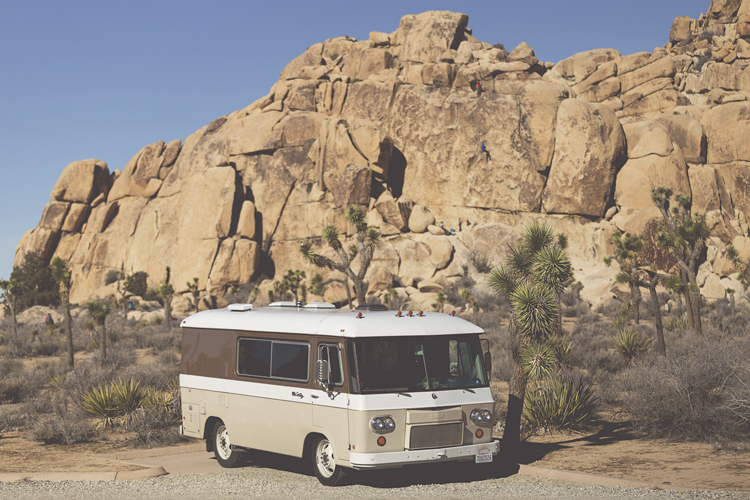 Known for its incredible, mild weather, beautiful beaches, and ever-present surf culture, San Diego is the perfect place to get a feel for #vanlife and pick up all the provisions you’ll need for your adventures before hitting the road. Go To The Beach! 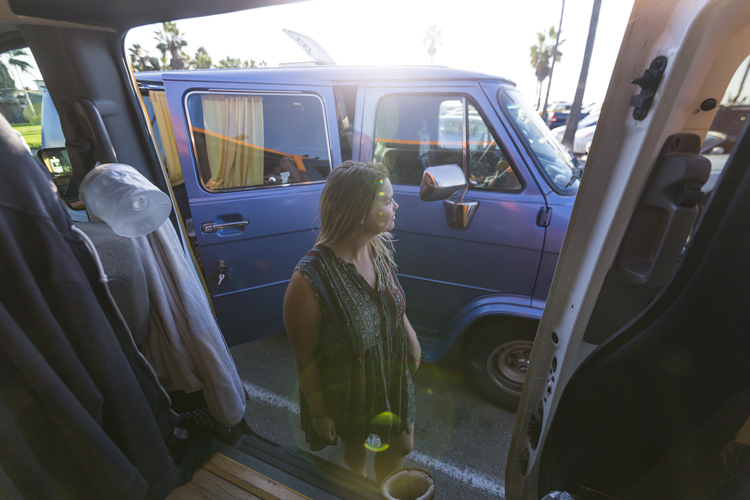 - While you’re in San Diego, swing by one of the many beaches for some surfing or to check out the bustling vanlife culture that fills the parking lots. There’s even a dog beach (called “Dog Beach”) in Ocean Beach where your four-legged friend can cut loose in the sand. Sunset Cliffs Natural Park - Complete with caves, expansive views of the Pacific Ocean, and an intertidal zone rich with flora & fauna, this 60+ acre regional park located along the Point Loma Peninsula is an awesome place to spend an afternoon watching the surfers and sunset. Farmers Markets - California is a land of plenty, with its mild climate, fertile soil, and plentiful sunshine; there’s always something fresh to eat in the Golden State. While you’re in San Diego, it’s a good idea to load up on fresh produce for your road trip. There are a TON of farmers markets to visit! Some favorites include the Sunday morning (8am) Hillcrest Farmer’s Market and the Wednesday afternoon (starting at 3p) Ocean Beach Farmer’s Market. Now go find the freshest avocado! Originally made famous as the place where Hollywood elite would escape to when they needed a break from LA, Palm Springs has something for everyone! Expect mild winter temps (and scorching summer heat) in this desert community roughly 140 miles from San Diego. Here are a few ideas to get you started on your visit to the quirky community of Palm Springs. 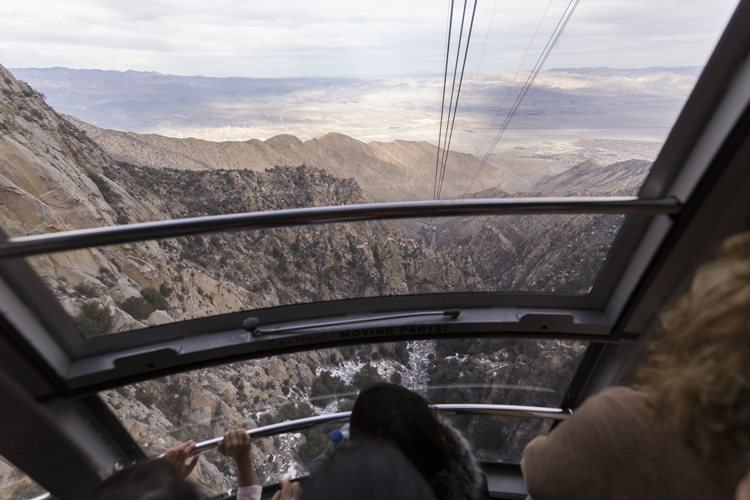 Aerial Tram - Ascend Chino Canyon and take in 360 degree views as you ride the Palm Springs Aerial Tramway, the world’s largest rotating tram car to 8516 feet above the Coachella valley. Once you arrive: eat at one of the two restaurants, snap a photo on an observation deck, or visit the Mt. San Jacinto State Park visitor center. 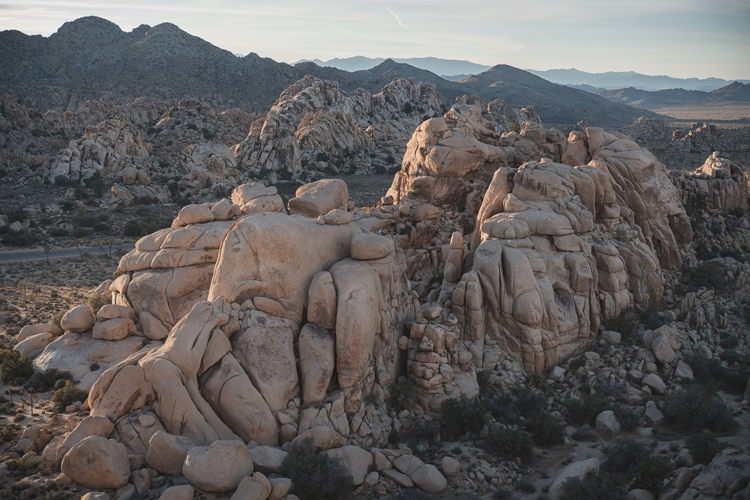 There’s also 50+ miles of hiking trails in the San Jacinto State Park and Wilderness! Make sure to bring warm clothing (and even Yaktrax or snowshoes if you’re headed up in the winter!). It’s about thirty degrees colder at the summit. Great Shakes - Indulge in literally the best milkshake we’ve ever had right here in Palm Springs. Check out their Yelp reviews, currently 5 Stars w/ 1240 reviews! I recommend trying the Oreo cookie with caramel or the smores, but you really can’t go wrong. They have low sugar and dairy-free options too! 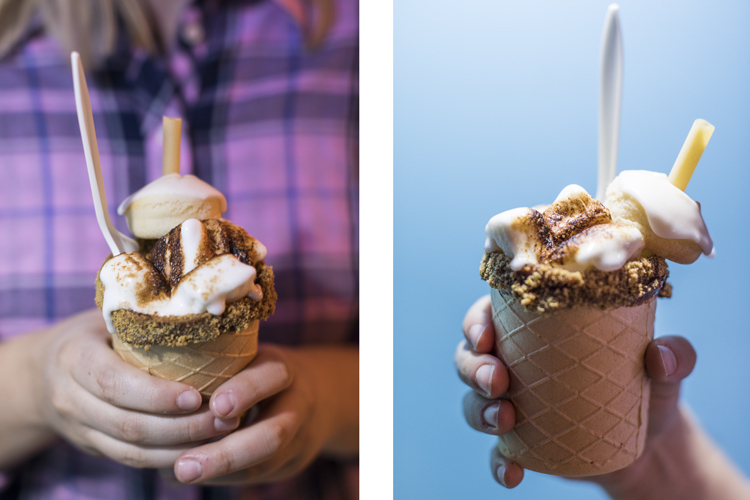 One more thing worth mentioning: the new “eco-friendly,” plastic free, edible cone cup. Indulge your sweet tooth and protect the ocean at the same time!! Robo Lights - Enjoy weird, Burning Man-esq art? Want to check out something truly unique? Spend an hour walking through Robo Lights, an upcycled, found-material sculpture garden that takes up nearly a whole block featuring post apocalyptic robot sculptures. Kenny Irwin Jr., the artist, has spent multiple decades assembling this one-of-a-kind masterpiece. 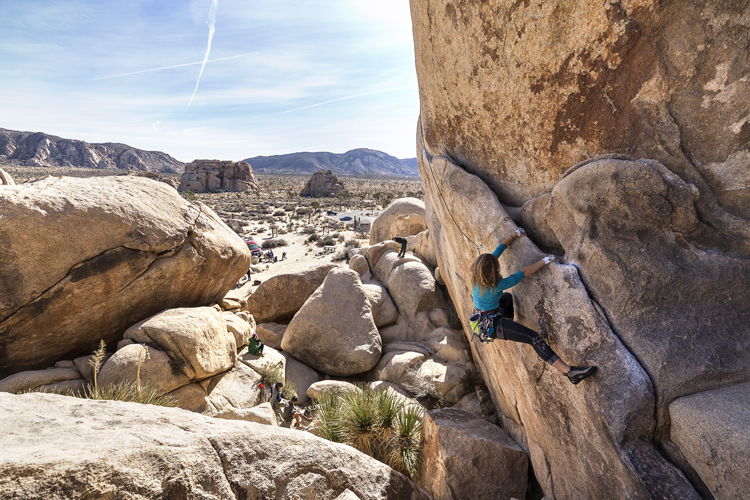 This otherworldly National Park is home to a seemingly unlimited amount of rock climbing, vibrant desert sunsets, and it’s hardy namesake Yucca brevifolia aka the Joshua Tree. You could spend months here (we have), but for a shorter visit, here are some sights worth seeing. Keys View - This is the highest point you can drive to in Joshua Tree National Park and an awesome spot to watch the sunset while overlooking the Coachella Valley far below. 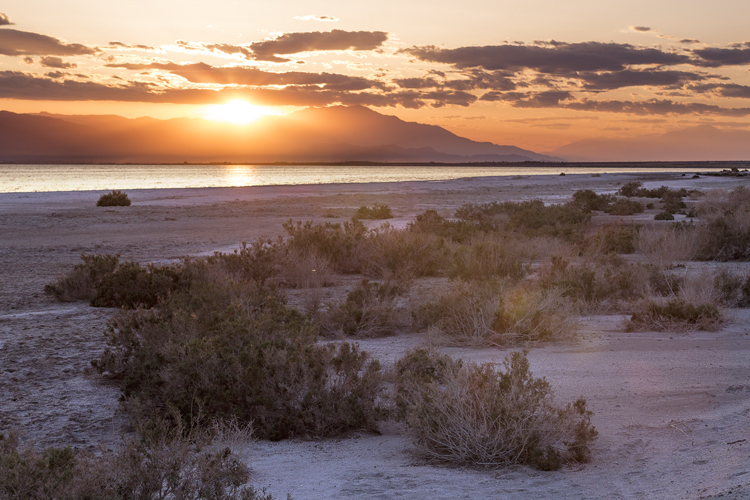 Look for the Salton Sea to the South (the next destination on your road trip). Hidden Valley - Ready to get out and stretch your legs? The mile-long loop around Hidden Valley offers a short, scenic walk on mostly flat ground with beautiful views of rocky outcroppings. Keep your eyes peeled for wildlife like jackrabbits, quail or rattlesnakes and make sure to appreciate the desert plants (be careful, most of them have spines). Desert wildlife is extremely fragile so make sure to stay on trails. Lost Horse Mine - If you are up for a more challenging hike, consider the Lost Horse Mine loop. This 6.5 mile hike will take you in and out of steep washes and across open desert to the abandoned Lost Horse gold mine. In the early 1900’s, the Salton Sink, as it was previously named, was purposely flooded (for agriculture) via two canals diverting water from the Colorado river. In 1905, after heavy storms and snowmelt, a levy failed, altering the flow of water and periodically diverting the entire flow of the Colorado into the Salton Sink. This continued for 2 years, but not before an enormous amount of water had accumulated there. For a brief period of time resorts popped up on the shores of this new body of water, but eventually pollution and the ever-increasing salinity of the water led to these developments being abandoned. Bombay Beach Ruins - Residents of Southern California used to escape to Bombay Beach for golf, water sports, and relaxation but you’d hardly know it standing on the shore of the Salton Sea today. All that remains of this former resort destination is a post-apocalyptic collection of abandoned buildings, vehicles, and stinky, desiccated fish carcasses! Bring your camera! Salvation Mountain, Slab City & East Jesus - Leonard Knight’s masterpiece ‘Salvation Mountain’ is an awe-inspiring piece of American folk art comprised of over 100,000 gallons of latex paint and found materials. His message (religious as it may be) is one of love and acceptance. If you visit, be gentle to the art and respect all posted rules. If you make it to Salvation Mountain, you are basically at the entrance to Slab City where you can find East Jesus (if you are lucky). 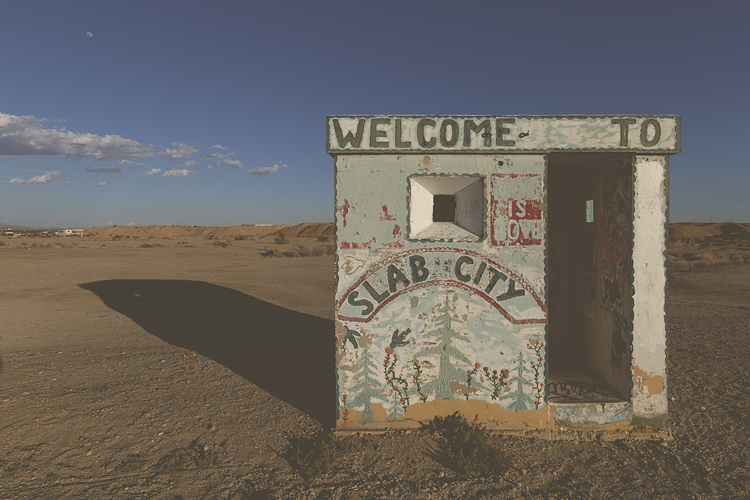 Slab City is a former military base. All that remains are concrete slabs in a no-man’s-land, which feels a bit wild. People have built temporary and permanent residences here under an obscure ‘you established your home so now you own the land’ kind of way. During the winter, Snowbirds flock to the area in their RVs for free parking. There are some places you may be welcomed into including a hostel and free library. 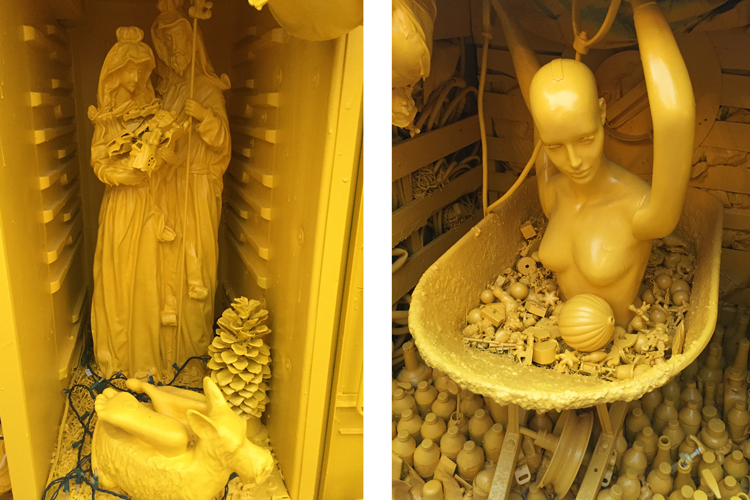 East Jesus is within Slab City and it is an amazing collection of art worth exploring. 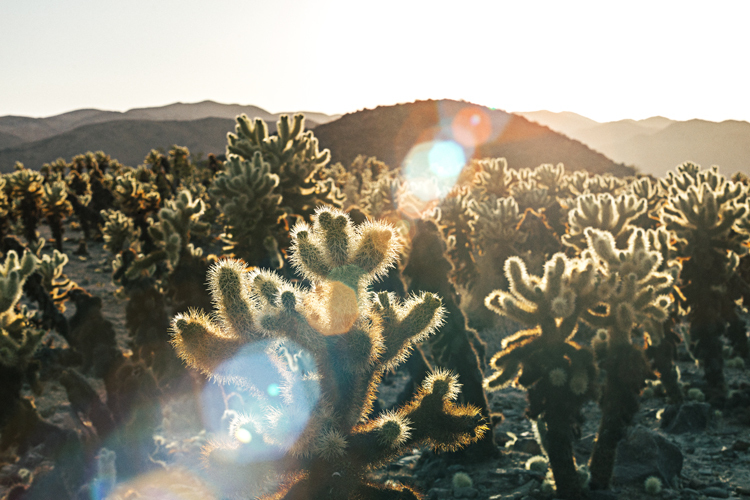 Located within Southern California’s Colorado Desert, the Anza Borrego Desert is a starkly beautiful landscape where Desert Bighorn Sheep roam and cacti abound. Upon visiting this area, you’ll discover fantastic desert hiking as well as art and oddity in the small town of Borrego Springs. Anza Borrego Desert State Park - This vast and beautiful landscape of badlands, washes and slot canyons is the largest state park in California at over 600,000 acres. A couple of interesting facts: The 2600+ mile-long Pacific Crest Trail passes right by the Anza Borrego Desert and the middle of March is generally agreed to be the best time to see wildflowers at their peak. You’re almost back to where you started! 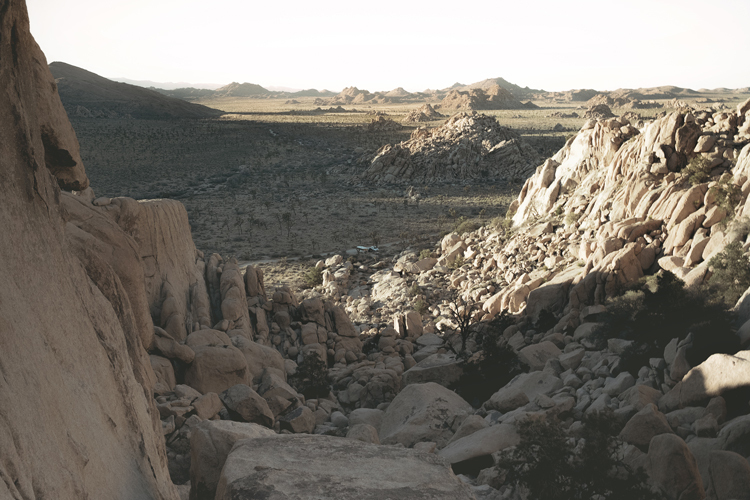 A short drive from the Anza Borrego Desert will bring you back to the coast and San Diego. We hope you enjoyed this SoCal route!